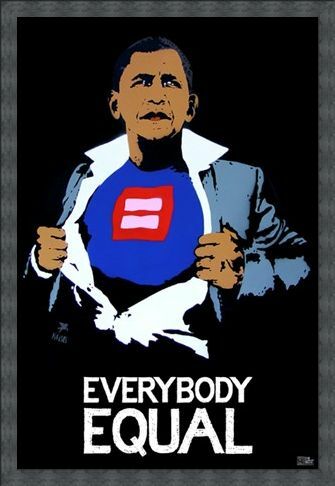 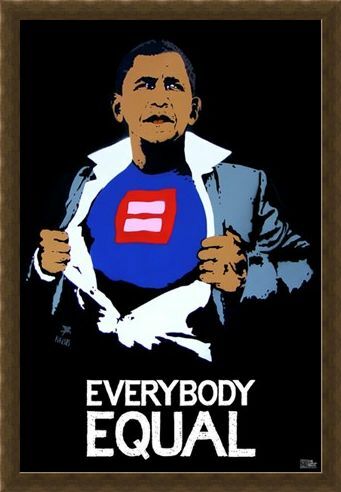 Celebrity Maxi Poster: Pictured revealing himself as a hero in the style of Superman, the 44th American president Barack Obama rips open his shirt in the centre of this contemporary image. 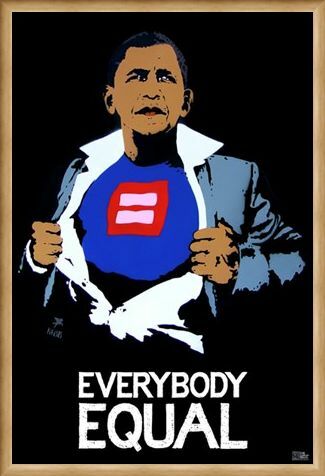 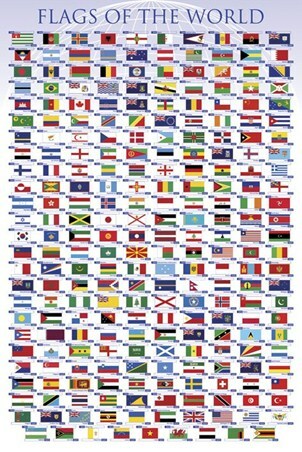 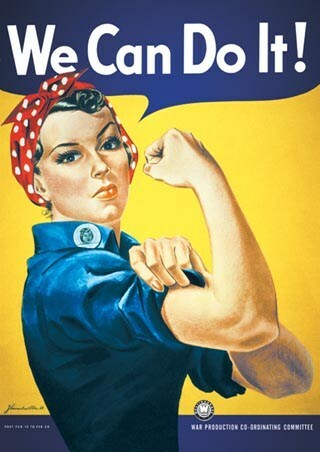 Symbolising the leader's views on equal rights for the LBGT community, women's pay and education for the disabled, this high impact maxi poster is the perfect way to show your support for the iconic African American democratic leader. 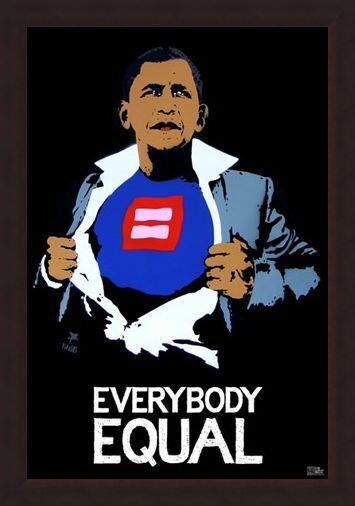 High quality, framed Everybody Equal, Obama poster with a bespoke frame by our custom framing service.